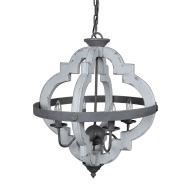 Oakley Pendant Light - White x White - Antique and Fine Decor for the Home. 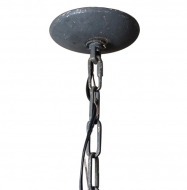 Round pendant light made of hand-cut wood in light gray multi-layer hand painted finish with aged patina. 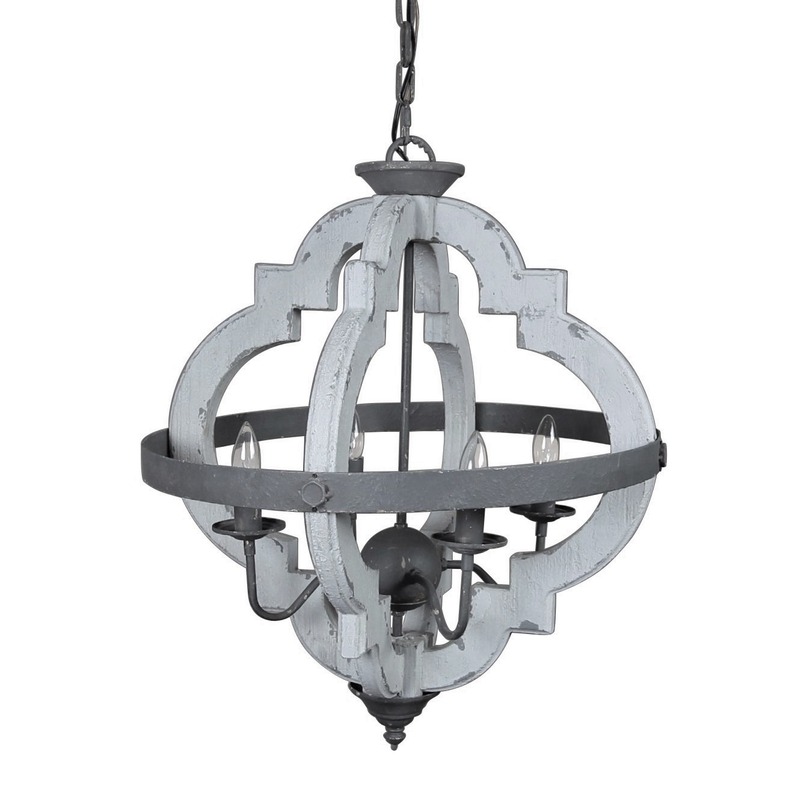 Lightly distressed dark gray accents, chain and canopy. Four 40W max candelabra bulbs. 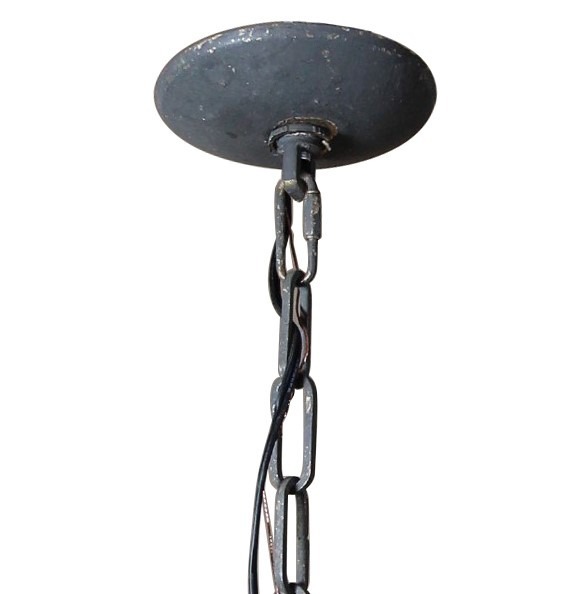 Chain and canopy totals 46" in length and canopy is 5"D. UL listed.